The Bird Streets of Los Angeles, nestled in the hills above Hollywood, are close enough to city life—entertainment and restaurants—to feel accessible, but thanks to idyllic winding streets and cul-de-sacs, and celebrity neighbors like Leonardo DiCaprio and Tobey Maguire, the neighborhood also offers that unique and so very L.A. vibe: high-end privacy. And in that respect, this home delivers. “We love that whole quiet feeling about it. As soon as you walk through the doors, you come down several levels, from the high pitch of life in L.A. into peace and tranquility,” said Compass listing agent Sally Forster Jones. Oh, and the views. The property features panoramic views from every room, 14-foot ceilings through which to catch the sunset and the city and glass Fleetwood doors from floor to ceiling. “Every window and door faces the greenery and views,” Ms. Jones said. This 10,000-square-foot property features four bedrooms, five full baths and two half baths. 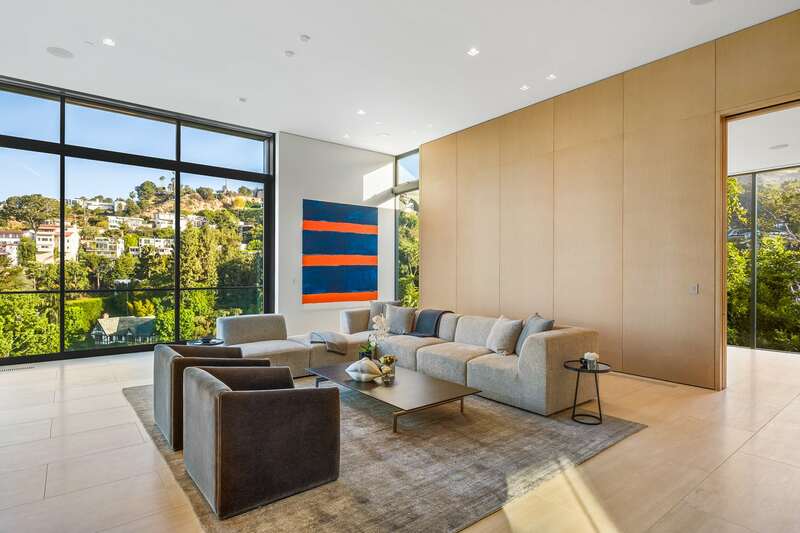 The home was designed to be modern yet organic in feel, with inspiration being drawn from the iconic Case Study Homes of the 1950s and ’60s known for their classic midcentury design, many with post and beam architecture, open space and expansive windows. 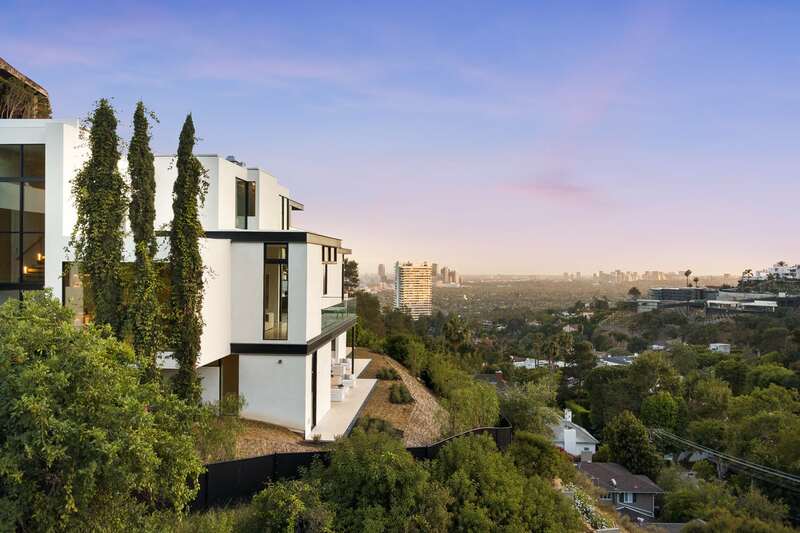 The home stands in contrast to other newer properties in Los Angeles due to the materials used in the construction, Mr. Fridman said. Ms. Jones said much of the wood used is Portuguese oak. “Contemporary homes that you see now don’t have the beautiful wood,” she says. The property is referred to the Estate of Zen, and its offerings fit into the wellness trend— which is obviously so California too—thanks to the inclusion of a spa on the lower level. Buyers can relax in the sauna or steam room and book a masseuse to come into the private spa complete with table. A full-service gym is also located on the lower level. A 300-bottle wine cellar completes the package. The property is currently staged with artwork from prestigious artists. Valued at more than seven figures, the work was chosen by Creative Art Partners, a fine art staging firm. As a perk of the sale, the sales team can also offer assistance in collaborating with a consultant who will help the buyers build a collection. 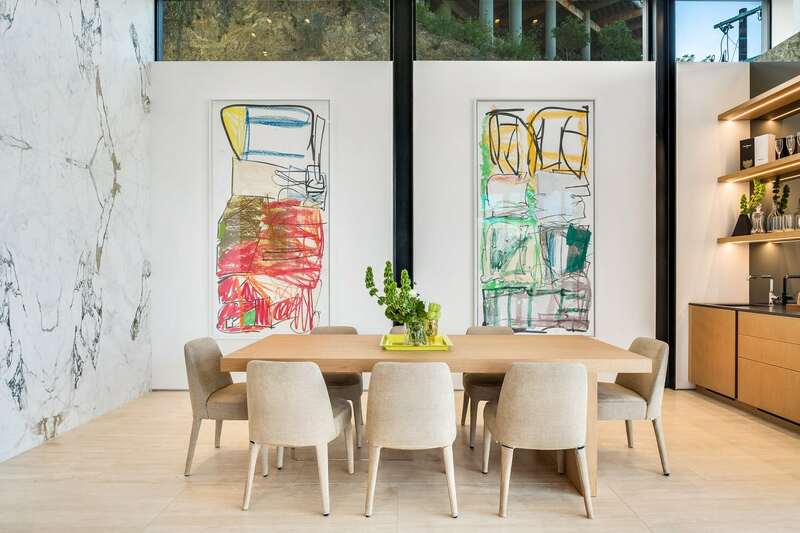 The gallery leading from the foyer onto the pool terrace features a huge wall that the agents say is perfect for a gallery wall due to the scale and volume and, of course, the amount of light the floor-to-ceiling windows bring into the space. The Bird Streets neighborhood is quiet and exclusive because of the winding roads and homes on hills that face out over the city, many of which aren’t even visible from the street. As noted, celebrities love it for the views—which are key for pool parties and whatnot—and for the privacy.